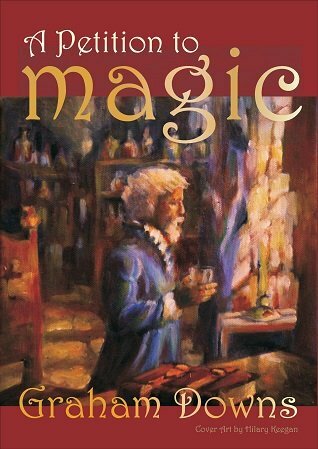 "Graham Downs opens the door to a fantasy world in his short story, A Petition to Magic, a world of emotions, trust, self-searching and enchanted characters that will definitely leave readers wanting more." Queen Celeste rose to the throne of Virdura a month ago, after the sudden death of her mother. Desperate to prove herself, she agrees to hear the case of a simple farmer who claims a neighbour stole his cow. To help her in this task, she orders her chief advisor, the royal wizard Solon, to cast a spell and divine the truth for her. Solon, however, is keeping a terrible secret. He is unable to perform any magic, and he cannot afford to let the queen find out the reason why. Buy Now - Or Get it Free? Click below to buy this e-book from your favourite online retailer. Want A Petition to Magic Free? All you have to do is enter your e-mail address below. You'll also be subscribing to Graham's e-mail newsletter, but don't worry: you can unsubscribe at any time, and he'll never share your address with any third party! E-book: 9781301232055 (Smashwords Edition) / 9781386504764 (Alternative e-pub edition). The ISBN of the now out-of-print Booktango Edition is 9781468926125.